Its pretty common knowledge that I love birds and owls! 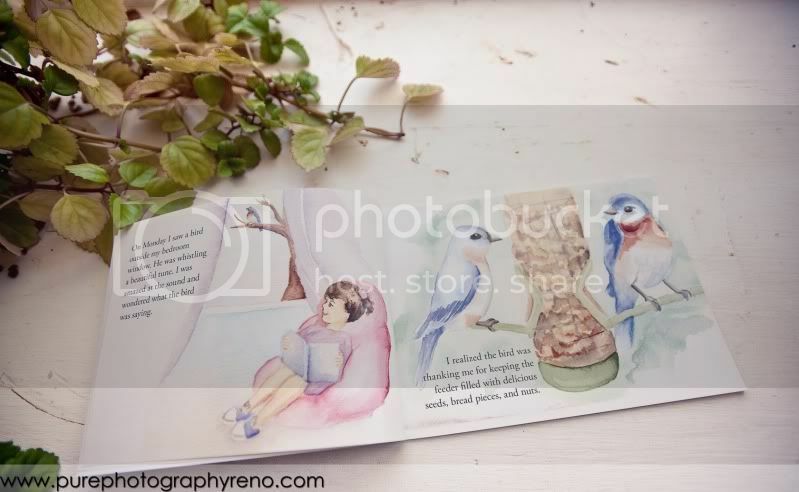 I have an abundance of cute feathery birds, clothing, wall stickers, a wallet, jewelry...oh yeah and Pure Photography's logo!! 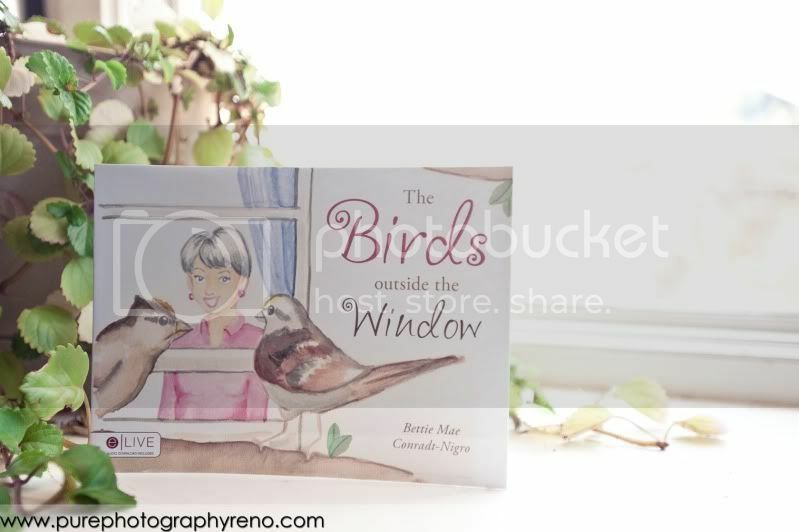 Because of this little known fact one of our fabulous Bride's, Anna, sent both Fawn and I copies of the children's book her mother (Bettie Mae Conradt-Nigro) wrote about birds, "The Birds Outside the Window"! 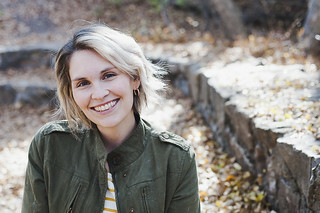 I was so excited about the book I wanted to share it with everyone! 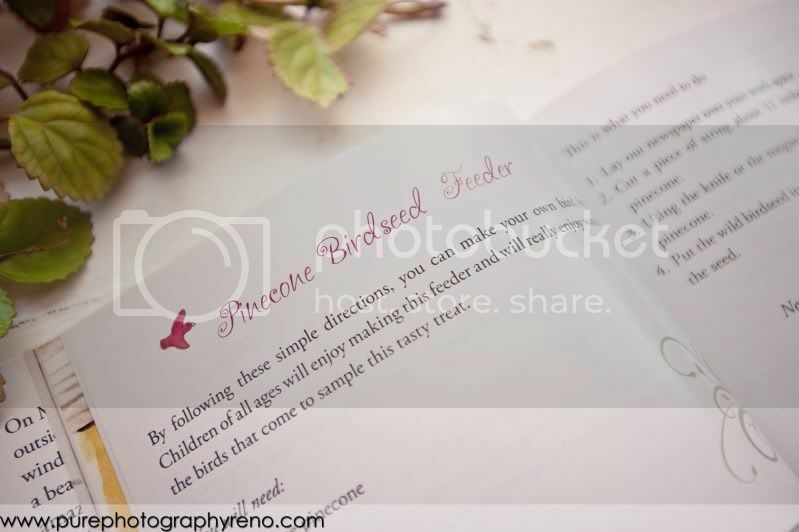 "The Birds Outside the Window" is an adorable book about a family who cares for the birds in their backyard and at the back of the book their is information on how you can care for and feed the birds in your own backyard! Do you remember the Movie "Mary Poppins", I love that movie and I adore all the songs (Julie Andrews is awesome)! Well, even Mary Poppins sings about feeding the birds and caring for even the smallest of creatures! Mary Poppins is a classic but the term of "Feeding the Birds" is alive and well in today's Pop Culture! One of my favorite actors Nathan Fillion (Firefly, Dr. Horrible's Sing-along Blog and Castle) has coined the new slang term, "Feed the Birds" meaning to give props to someone! 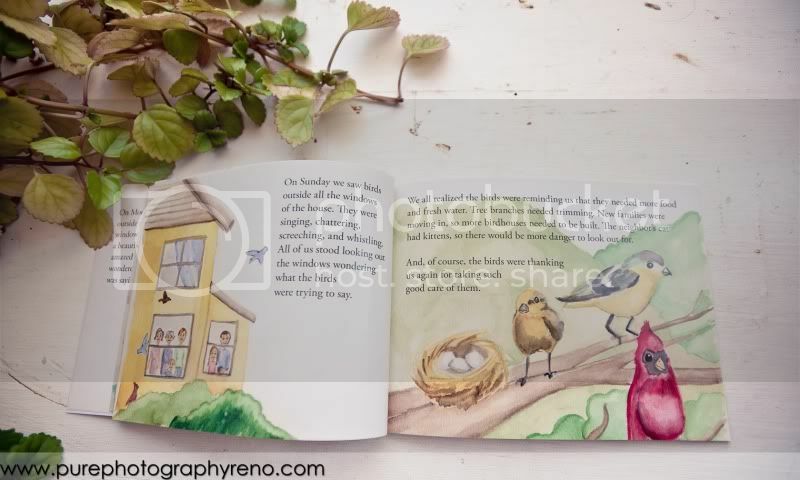 "The Birds Outside the Window" Is such a cute little book and a perfect way to introduce your little ones to the animals in their backyard! Have a wonderful Friday and remember to Feed the Birds!